Temple Wedding is also common in India. 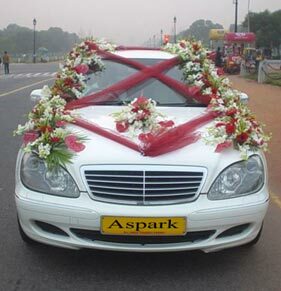 In fact, the temples in India are considered to be the most auspicious venue for wedding. 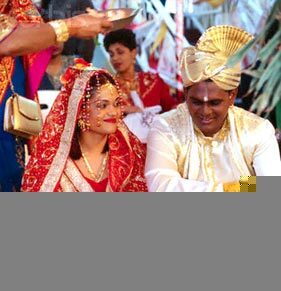 Marriage in India is a jovial yet sacred occasion that is reflective of the regional, religious and cultural diversity of India. 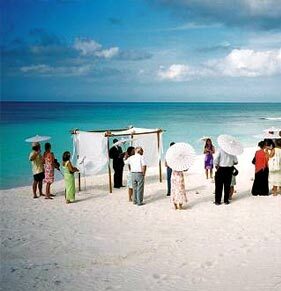 Indian Temple Wedding is believed to add sacredness and divine blessing to the life of a couple. India is a destination of spectacular monuments and beautiful Hindu shrines. In the ancient times these temples were something more than the mere places of worship. They were the repository of knowledge and culture. They came to be considered the sanctified buildings where one could seek ultimate and eternal happiness. India is replete with number temples that are ultimate examples of architectural brilliance and aesthetic design. Getting married in one of these temples definitely adds a new meaning to the solemn vows that you exchange. 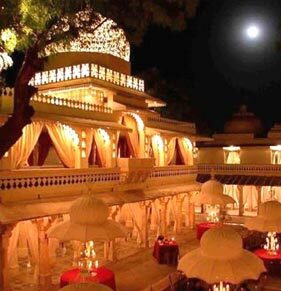 The temple weddings in India infuse that element of purity and sacredness into the big event of your life. 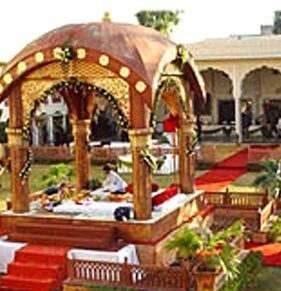 The temples in India are the ideal venues for those who are looking forward to a no-frills traditional marriage. The temples in North India are considered the abode of divine and serene compassion. The commendable architecture of the temples complemented well by the reverential ambience, the temples in North India exude devotion. The South Indian temples appeal to the aesthete within you. Considered the embodiments of rich culture and tradition, these temples also are warrant consideration as venues when it comes to the temple weddings in India. The temples of the East are characterized by the serene ambience that pervades the temples. Bodhi Temple, Lingaraja Temple, Jagannath Temple and Maha Bodhi Temple need special mention. The western Indian temples grab attention by their ornate design and the eye for detail. The central Indian temples are intricately carved and have awe-inspiring designs. Some of the Indian temples where you can arrange your wedding are Kalighat Temple (Kolkatta), Dakhineshwar (Kolkatta), Tarakeshwar Temple (West Bengal), Jagannnath Temple (Puri), Ling raja Temple (Bhubaneshwar), Tripureshwari Temple (Tripura), the Konark Sun Temple, Khajuraho Temples, Ajanta Caves and the Brihadeswara Temple. 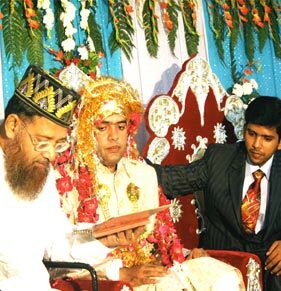 Other than these, there are others in the southern part of the country which also facilitate marriage ceremonies. 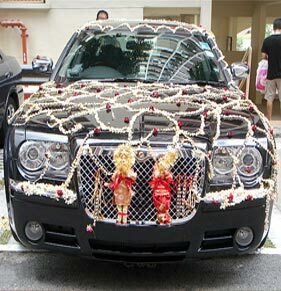 In Kerala, temples like the Guruvayoor temple and the Tirupati temple of Andhra Pradesh are famous for the weddings ceremonies that are arranged there. India is considered to be land of beautiful temples, what could be a better option to get married than the temple weddings in India. 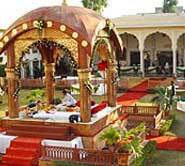 Temple weddings in India are the ideal way to solemnize the most important event in one's life.